‘Tis the season when Christian families start looking forward to the fun and festivities surrounding the birth of Jesus. Of course, children get very excited about the celebration to come (hey, I once passed out and had to spend a portion of Christmas Eve in the ER; I was fine just over-stimulated and dehydrated). But really, do the kids in our lives understand why Christmas is such an exciting celebration? Beginning on the night of December 1st, gather your family and read a story from the Bible. Hang a paper ornament on a tree to honor a person in the story. There’s Adam and Eve, Sarah and Noah, and Abraham, David…and a host of others. Leslie Lindsay: Do you remember when you first had the idea to write COUNTDOWN TO CHRISTMAS, what inspired you? L.L. : Did you always want to write a book? Theresa Seidltz: Yes, I have always loved writing since I was very young. I also love telling stories. L.L. : What do you want to be when you grow up? What kind of books do you think you would write if you became an author? 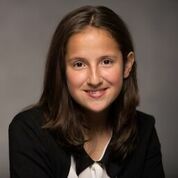 Theresa Seidltz: I have no idea what I want to be when I grow up but I know I want to write I especially would like to write fantasy books, but right now I am more focused on comedy related to my family and friends. L.L. : What was your favorite part about writing this book? Theresa Seidltz: Looking up the stories because I like finding out what happened to the characters in the bible. L.L. : What do you think the hardest thing about writing a book is? Theresa Seidltz: The work!! Putting all your thoughts down on paper. It takes time. It is really hard not to give up. L.L. : What advice would you give to other kids who want to write books? Theresa Seidltz: Don’t give up!! Keep at it, it is a lot of work but if you keep going, eventually you will finish. L.L. : What are some of your favorite books to read during Christmas season? I have so many books I like to read at Christmas time. L.L. 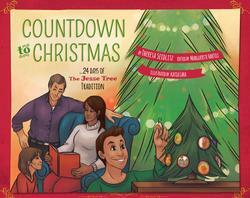 : Which story is your favorite story in Countdown to Christmas? What is the important message that it shows? Love this idea! Way to go Theresa for publishing your first book at such a young age. Keep up the great work! 🙂 My kids go to a Christian school, so I’ll make sure to share your book with our friends and teachers. I know! Isn’t it great? My girls are excited to participate in the Jesse Tree tradition this holiday season, too! Thanks for spreading the word, Tori!